Traveling through a dreamscape of alternative-pop progressions, LA-based Michael Stevenson, Rounak Maiti, Nick Waldram, and Campbell Scott of Small Forward re-emerge with two addicting singles. 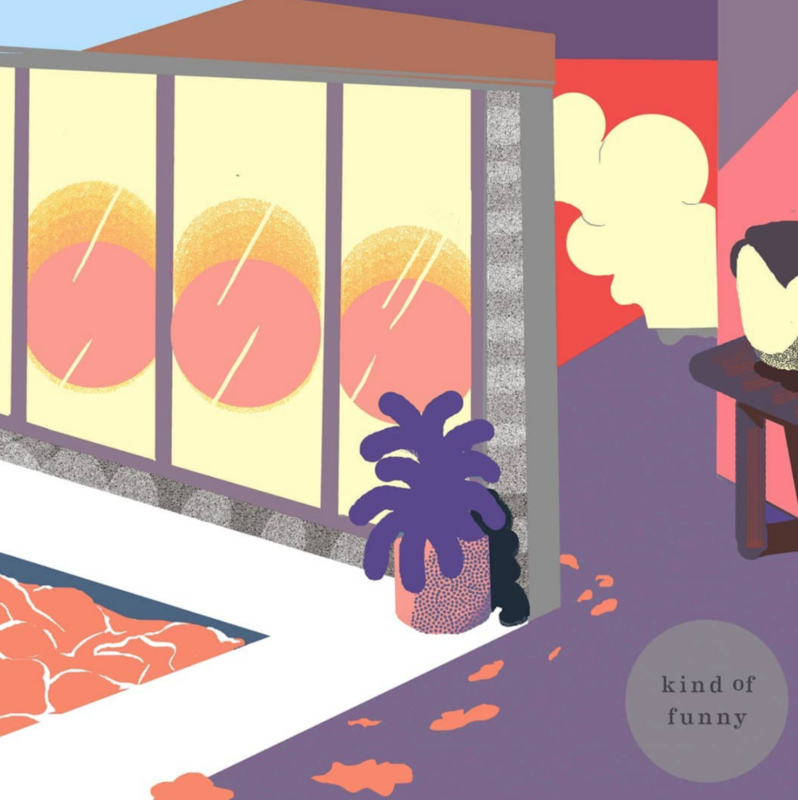 Relaxed background music later joined by staccato vocals merge agreeably in Small Forward’s late January release Kind of Funny. “Always in the right place from the very start, there’s not a lot of things I did to play my part,” they begin, suggesting a lack of presence they’ve had in their own lives. Here, feelings of optimism collide with an unsettling notion of emotional distance. While sitting back and allowing life to run its course can be positive, having a lack of control and involvement can weigh heavy. They then sarcastically comment “And it’s kind of funny how you tend to notice, how you tend to notice the worst in me,” reflecting on the feelings of inferiority projected upon the singer. Realigning with composure, he states “Finally I’ll fall right back into place,” repeating until overshadowed by a conclusive guitar riff. Opening with calming guitar strums, Tearjerker ponders through the punctilious mind of an individual in a lost relationship. Focusing precisely on their surroundings, they recall a place that “Never meant much to me but it was meaning everything to you.” This pattern of symbolic remembrance recurs throughout the lyrics. However, this care and attention soon dissolves, as they state “When you look me in the eyes dear what will you do, when you notice there is nothing for you to hold onto.” This personal trouble transcends, later affecting the relationship as well. This indicates the emotional numbness that consumes both individuals involved. Confessing “My body’s gone but I am feeling you still,” this notion is affirmed. Collecting themselves in spirit, they then recount “Stood tall on a shallow reef right there beside the public beach” once again drilling in on specific, vivid moments in the relationship. This line reveals a sense of pride, yet also the vulnerability felt when sharing oneself with another individual. Carried throughout the songs’ diverse sounds, the messages of Small Forward remain consistent.